Both iPhone hackers @iH8sn0w and @Gojohnnyboi have been working on a way to port the iPhone 4S’ A5-only Siri assistant feature to A4 devices such as the iPhone 4 and iPod touch 4G, and now it looks like it was successful. Yesterday, iH8sn0w gave us a little insight on the whole ordeal. This is great news for all iPhone 4 users who are not willing to buy the iPhone 4S. With Siri being the iPhone 4S’ biggest feature, the fact that it will be on the iPhone 4 will prevent some potential purchases to the iPhone 4S. 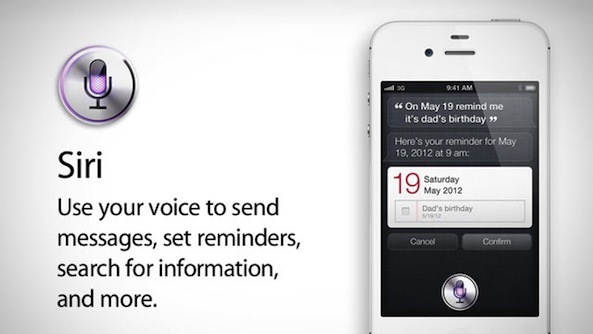 A video of Siri running on an iPhone 4 can be seen below. Here is another video where Siri seems to be running smoothly but it cannot connect to Apple’s servers (yet).